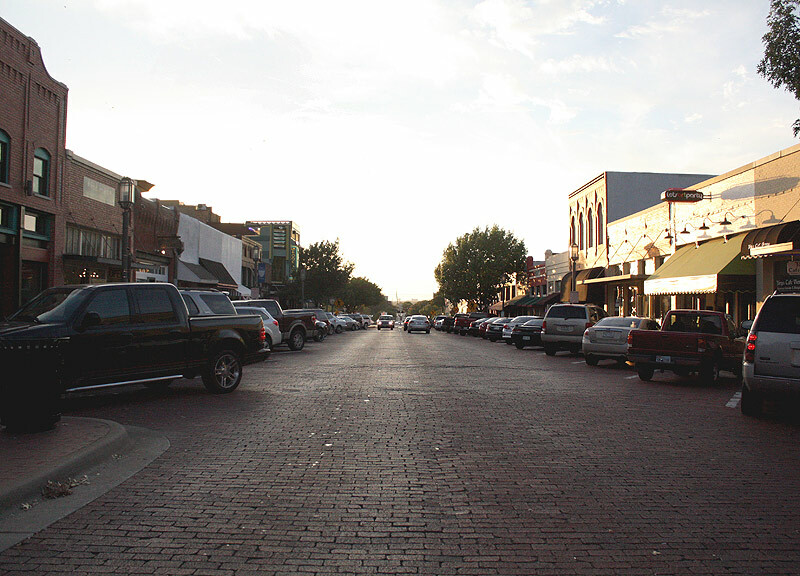 Old Is New Again In Historic Downtown Plano. Need a break from valet parking and the big city crowds? A quick ride on the DART rail's Red Line can take you straight to one of the most quaint and popular spots north of Interstate 635: Historic Downtown Plano. Built in the 1870s, this commercial center wasn't always old, of course. But, by the mid-'80s, city leaders recognized that the area needed some revamping. So they upgraded the sidewalks and streets and, soon enough, the area was no longer just a place to buy novelty items and antique furniture. I mean, sure, there are still antique dealers here. But now you can window shop on your way to one of the most eclectic mixes of new restaurants around. Among the cobble brick sidewalks and restored historical buildings, you'll find new places to enjoy food, drinks and good times. Even though the legendary Eisenberg Skate Park is no longer part of the block (and how could we forget the Queen of Hearts Costume and Magic Shop? ), a lot of contemporary businesses have sprung up and set roots here throughout the last decade. 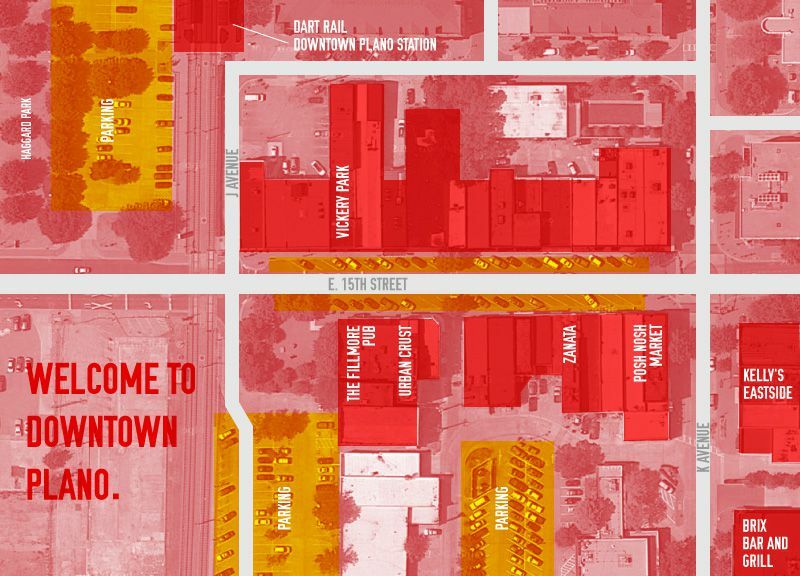 Now, Old Downtown Plano is something of an ideal fusion of classic time and 21st century necessities. Besides some of the new foodie hot spots, you'll also spot a couple of private design studios, a hands-on art studio and a barbershop. There's even a farmer's market just down the road, right across from Haggard Park. 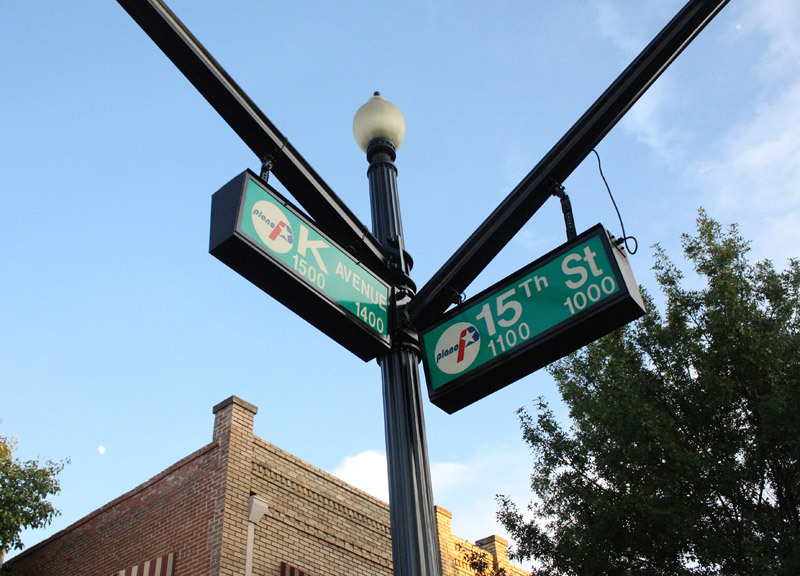 Here, however, we simply highlight some of the best places to grab mouth-watering cuisine on the single block of 15th street and Avenue K.
Perfect timing, too: On Saturday, October 27, this area will play host to the 2012 Downtown Plano Feast-ival. The event is free to attend and you can enjoy live music, games, pumpkin carving, a petting zoo and more as these businesses band to raise money for the Assistance Center of Collin County. 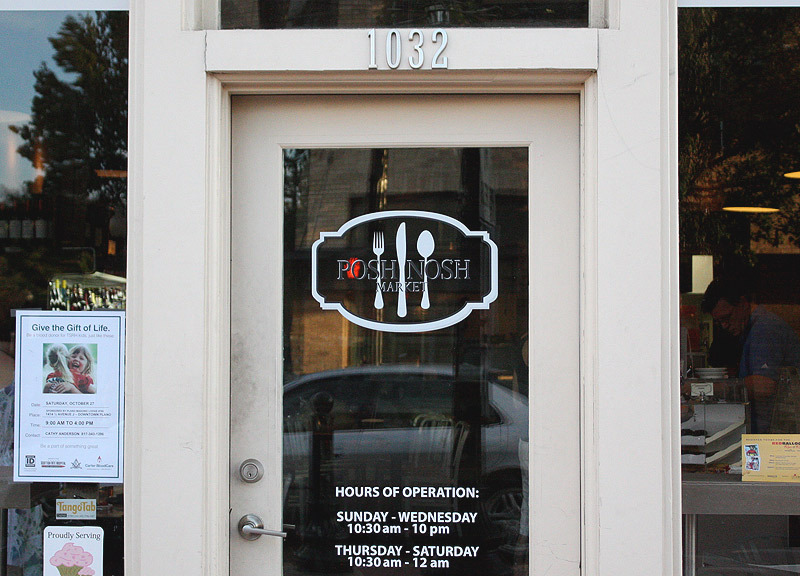 Where the infamous costume shop Queen of Hearts used to sit on the Downtown Plano block now thrives the Posh Nosh Market. Offering a clean and simple environment (and, yes, free WiFi), this market is a good place to grab a delicious coffee, a big sandwich and a dessert (note: their awesome cake balls go two for a dollar). You can also simply pick up bottled beverages — it is a market, after all. Just keep in mind: The booze you purchase here cannot be consumed on their premises. 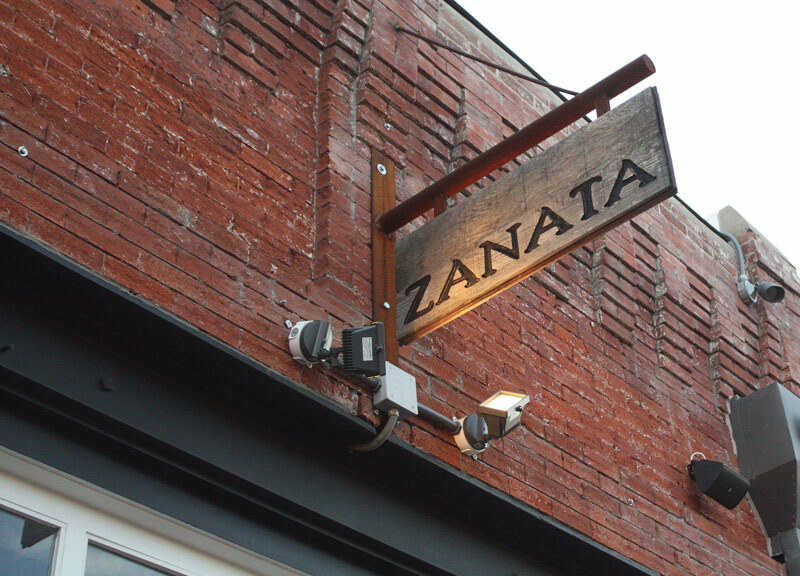 Zanatas' Plano location is the company's second location (the other being in Rockwall) and, like the nearby Urban Crust, Zanatas has a wood-fire oven. But this place offers more than just pizza. Enjoy fine Italian-Mediterranean dining with menu options like lobster ravioli or peach and whiskey chicken. Zanatas also has seasonal offerings and, to make their food even better, they offer local organic ingredients when available. Grab yourself a half-priced bottle of wine on a Wednesday night or stop in on a Sunday for a deal for two ($25 for salad, pizza and a bottle of wine). It's a great date spot, for sure. 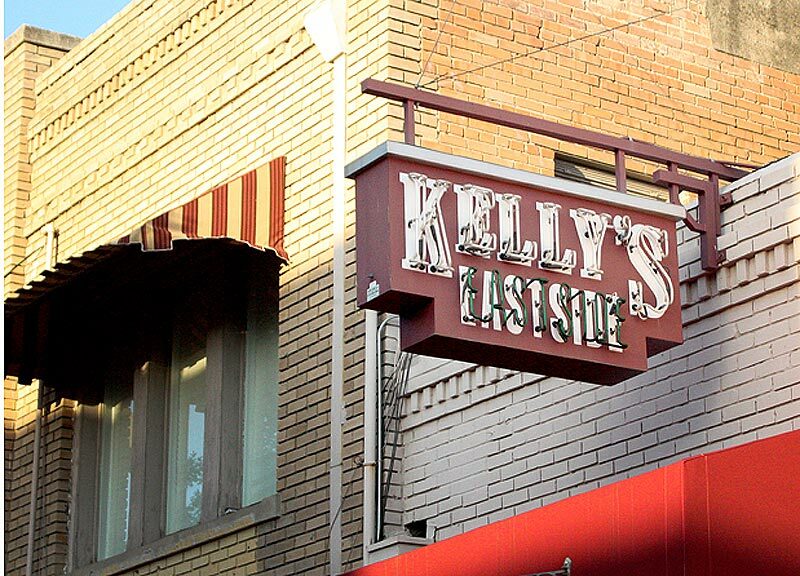 Kelly's Eastside does a few things perfectly well: Burgers, beers and sports on TV. Their food portions are large and affordable, too, and most of the food is made from scratch on a daily basis. The bulk of the menu at Kelly's is stereotypical bar food (sliders, sandwiches, burgers, wings, etc. ), but they also have a wonderful grill section with salmon, N.Y. strip, chicken and shrimp options. Our favorite choice is the Southwest Burger. And, beer-wise, they've even got St. Arnold's Lawnmower on draft. There are also a handful of fine brandies on tap. This place is perfect for laid-back patio dining with friends or for a quick solo lunch. 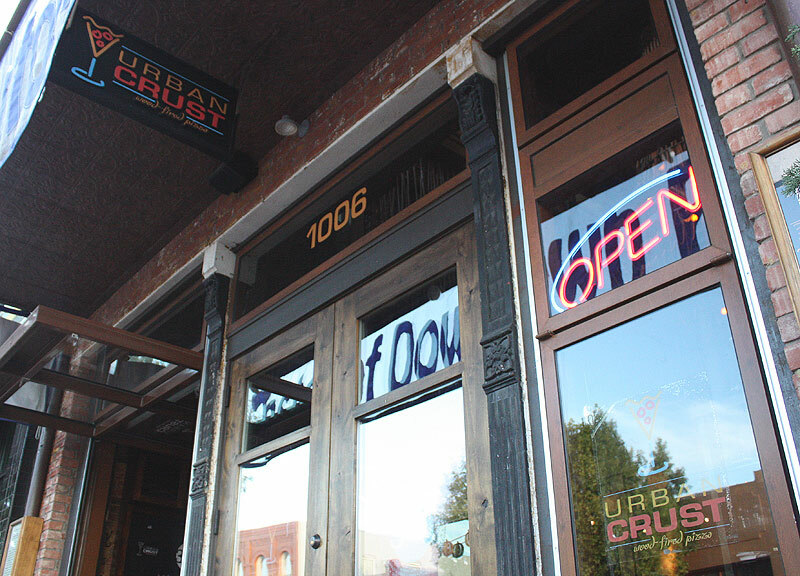 One of the first signs of Downtown Plano upping its game was the opening of Urban Crust, a gourmet wood fire pizza joint maintained by four partners in the business. Bonnie and Nathan Shea partnered with World Master Chef Salvatore Gisellu and his wife Jeanne-Marie — straight out of Italy — to complete their vision. And quite the vision it is: Urban Crust includes three stories of dining, in-house handcrafted mozzarella cheese and local organic greens. And let's not forget to mention the rooftop bar, which is constantly kept frozen at 32 degrees. Meaning? Every time you set your drink down on the bar to chill, it is literally chilling. Beyond the food, drinks and vibe, the service at Urban Crust is also legit. Go ahead and enjoy yourself some Tuscan fries with Blue Cheese before you put in your entree order. You won't regret a thing. Quite possibly one of the best finds in Downtown Plano, the Fillmore Pub has a cozy, dim-lit “real pub” atmosphere with fish and chips on the menu and a dozen beers on draft. This ain't no patio party. The food is your typical bar grub, but this is a place to visit if you want to drink. 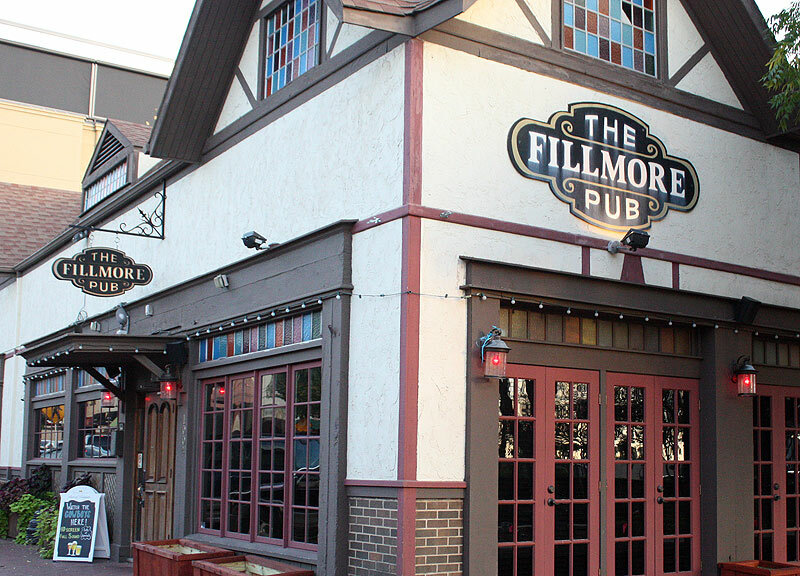 The Fillmore Pub offers draft beer, bottles and rotating seasonal selections, as well as wine and fine spirits. If you find yourself craving a snack, you won't be disappointed. But, if it's a meal you want, just try Urban Crust next door. This pub is ideal for a friendly group gathering, but business professionals are also often here, letting loose after a long day at work. Dallas' Henderson Avenue restaurant staple Vickery Park also has a Plano location, but, though the food is still on point, this second location seems to be missing a couple of things — namely the awesome outdoor patio. It's a bit awkward, actually. You wouldn't know the restaurant expanded so far back into the lot space unless you took a trip to the restroom. Still, the space toward the middle of the elongated restaurant space is ideal for lounging. There's a ton of well-loved furniture to hang out on, as well as some televisions for your sports-viewing pleasure. 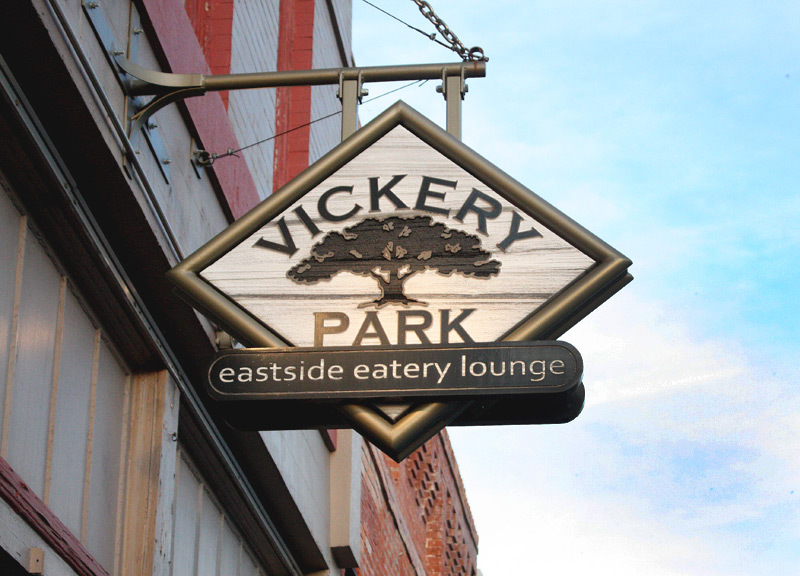 It's pretty great that Vickery Park has been able to expand, but it seems most foodies are still banking on the Henderson Avenue location for now. Tired of burgers, pizza and bar food? 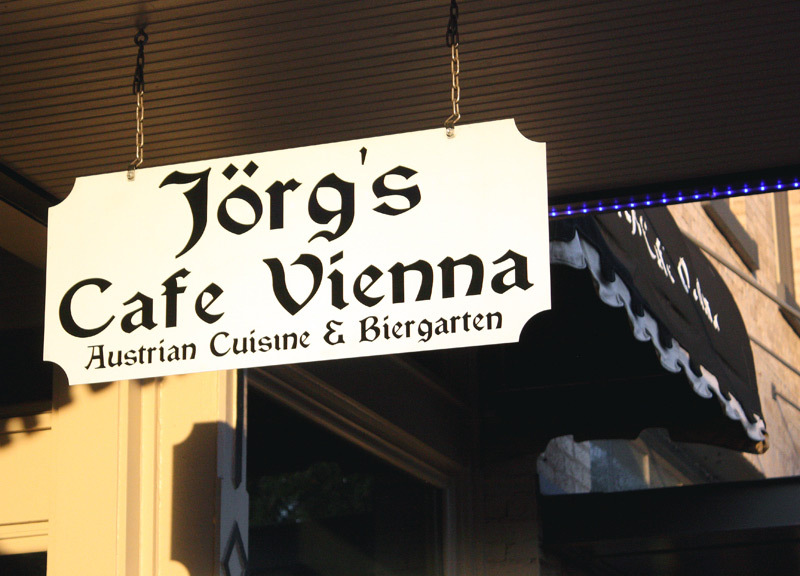 Try an Austrian dish at Jorg's. Chef Jorg Furcher moved to the United States in 1987 and opened his restaurant with his wife, Cathy, in 2002. Jorg and his wife now operate the restaurant with their two sons. The family owned and operated business serves food authentic to Austria, and they take it very seriously on their menu, which is comprised of old family recipes and traditional dishes. The menu itself is pretty much in Austrian, so don't be afraid to ask your server questions. They'll be more than happy to explain the tasty offerings and treat you to some of the best Austrian food in the Metroplex. Seriously, though: Order the schnitzel. It's not what you think it is; this bona fide schnitzel is a thin piece of light meat coated in breadcrumbs and fried. In other words? It's not a hot dog on a stick. And it's not too greasy, either, since it's pan-fried. Partner it with one of 10 beers on draft. Pro Tip: Jorg's is closed Sunday through Tuesday. Chicken and waffles? Check. House-made chips? Check. Great service? You got it. 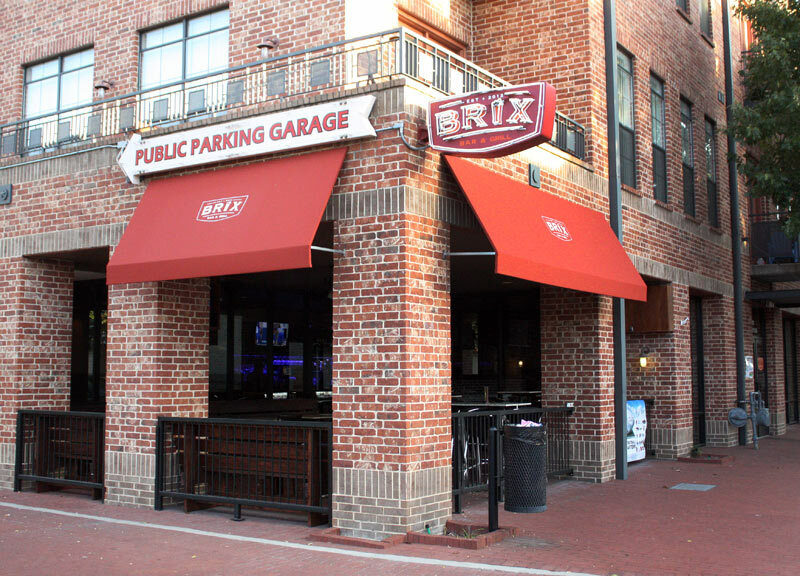 Brix Bar & Grill offers a menu unlike most bar menus. You'll find artisan sandwiches like the Steak, Portobello & Gruyere or the Chicken Torta (both highly recommended) as well as salads, burgers and dessert. Don't forget your drinks, either — they have about a dozen beers on tap. They also have about a dozen televisions indoors, making it a perfect spot for watching a game. You can also enjoy all of the above on Brix's outdoor patio, which faces the other Downtown Plano shops on Avenue K. This restaurant is perfect for groups, easy for families, and it doesn't make a bad date spot, either.